I had another couple of books set aside for 1944 club but started one and didn’t get into it and the other was rather long so I had picked this up in the library last week after thinking Had Simenon wrote any books in 1944. Not that hard to imagine he hadn’t as he wrote 700 novels in his life and there is a good chance he had written some books in 1944. He turned out to have written three Maigret books that year This and as the earlier title was Maigret and the fortuneteller and Maigret and the toy village the later I knew as it was used as one of the earlier ITV Maigret series with Micheal Gambon called Felice. Now it has a common theme with this book as well. The Men shake hands, and then Maigret undresses and gets in bed. He hears noises in the house. from very far off in his half sleep his ears cathc what sounds like the murmuring of voices , but it sonns fades awaym and the house becomes quiet as it is dark. He falls asleep, of thinks he does. He keeps seeing the dismal face of Carve, who had to be the most miserable man on this earht, and then he dreams that the apple-cheeked maid who waited on them at dinner is bringing him his breakfast. Magiret arrives and meets carve and dreams of him and the local maid that first nifght in the village. Felice like Inspector Cadaver sees Maigret outside his home turf of Paris. He heads to a small village like in Felice. This time he is doing a favor for a Judge friend. The brother in law of the Judge Etienne Naud a landowner in the village of Saint Aubin Les Marias. On January 7 a man was killed by the train the Albert was crushed by a train.The young man had a connection to the Naud family. Now the Judge is worried as he brother in law has said the rumor going around is that he has done it and Maigret is asked to go and try and find out what happened. When he arrives he sees another man that he has known in the past a former Policeman that Maigret had a run in whilst they were both still policeman the man Carve was called Inspector cadaver by his fellow officers. He wasn’t the best policeman what is he doing in the village. As Maigret starts to ask questions around the village everyone is silent. But as it becomes clear what sort of man Maigret is and that is a man of truth and justice the locals start to open up about the event before and during that fateful night. The question Maigret had been turning over in his mind since the previous evening was this; was he staying with decent sorts who had nothing to hide and were extending their warmest welcome to a guest from Paris, or was he an undesirable outsider whom examining Magistrate Brejon had thoughtlessly imposed on a non plussed household who would gladly have dispensed with his services. Maigret gets there and feelslike the Nauds doin’t really want him there. I was reading this earlier in the week and Kaggyy put up her review of this book as well. I left reading it so I had read the book and thought what I thought of the book. This has part of what we haven’t seen yet in the recent Maigret tv series and that is him outside Paris he was in one of the new books but it did link back to Paris this is a story set in the Village. I had the Gambon Maigret in mind for this story as he seems o more suited in my mind to the ones outside Paris he actually did what Simenon did there and Kaggy point out and that he tended to side with the common folk in the story this especially in Felice where he sided with the young woman in the village that everyone else had problems with he was a man of the poor and the underdog . he is also like a terrier dog as a detective not graceful more get stuck in and the clues are there and he goes around at times he is quite blunt in this book. Then there is also the story of his old rival as a second storyline the story of how Carve was made to leave the police. Another enjoyable book in this series and it brings to eight of the Maigrets I have reviewed there is still a lot to go in the series hopefully next club will also have one to review !! 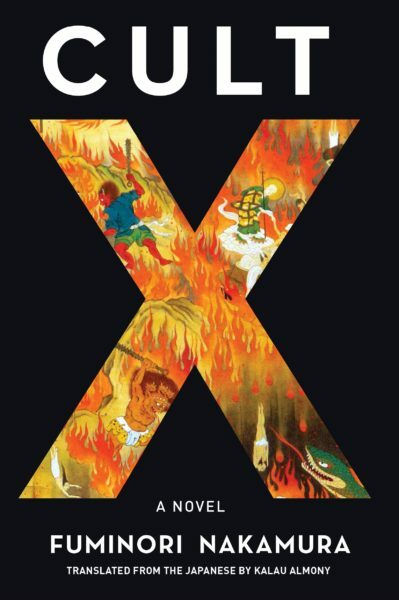 When Simon and Kaggy announced the 1944 club, I searched the list of books published that year and this was one that jumped out at me especially when I saw the cover. 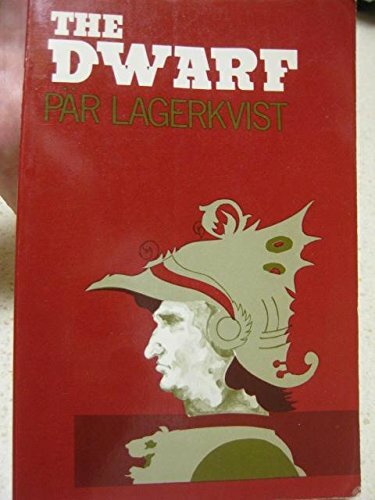 Par Lagerkvist was a Nobel winner. He grew up in a house where the books he had to read were the Bible and the book of common prayer. But in later life he didn’t turn against religion he was a socialist but had a deep interest in what man his symbols and God. What man’s position is in that world. This book is a perfect example of what he did in a lot of his writing question what is good and Evil. What abput the Prince ? Does he suspecgt nothing? or maybe everything? It looks as thpugh the matter of her secret life did not exist for him. But cannot tell, with him one can never be quite sure of anything. He consorts with her in the daytime, and it seems as though he himself were daytime in person , for he is so utterly irrahited with the light of day. It is odd that such a person should be beyond my comprehension – just he! but perhaps that is because I am his dwarfm and again – he does not understand me either ! This passage does make you wonder is Piccoline is just another side of the Prince . The book is narrated from the point of view of the dwarf of the title he is the court Jester Piccoline. He is in the court of an Italian Principality. He has the ear of the prince. He is also told secrets by other members of the court such as their lovers and who is doing what which gives him a greater insight into the inner workings of the town. But this little guy has a real twist of evil in him he is a true Machiavellian figure. The town they live in is in many a feud with the local towns. This is et in the 15th century Italy around the same time as some of the other villages built great big towers here they have hired Bernardo to do some painting (This character could be a version Leonardo Da Vinci) The town could be Milan but the time and place isn’t ever really mentioned so for me it is just a mixture of tale of the time when Italy was made of small towns and states that were at constant battle what is the problem here is the dwarf they all see as just a jester in a way is twisting them and helps the prince when he has to poison someone for the Prince he does this as he hates the person but he hates everyone around him he isn’t the jovial figure they think he is as we see how he sees the downfall of his town and the violence he has in part he has unleashed. Again is the dwarf real and does the prince really see the dark side of him and what he has inside him . I was drawn in by Piccoline narration of his life he is truly a dark figure. He is maybe more of a dwarf on the inside and that is the question is he a real figure or maybe just the dark side of the Prince of the town. His dark inner child in a way the acts and thoughts of Piccoline has that childlike way of seeing good and evil as he views the world as very black from his mere 26 inches. This is the reason I love events like 1944 club is they make you look out older books. I have always tried Nobel winners when I have seen their books around second hand so I would have got to Lagerkvist at some point but this coming out in 1944 meant I got to it sooner. Lagerkvist does seem to question through Piccoline what our actions are when we are faced with violence and conflict around us. A lost gem of world literature as this seems to be out of print at the moment! !